Days after launching 3 new Promotional Plans, BSNL has started slowly introducing the BSNL 548 Plan available in different telecom circle. BSNL 548 Plan is one of the best offer by any telecom operator now and offers 5 GB data per day for 90 days. A total of 450 GB data at Rs. 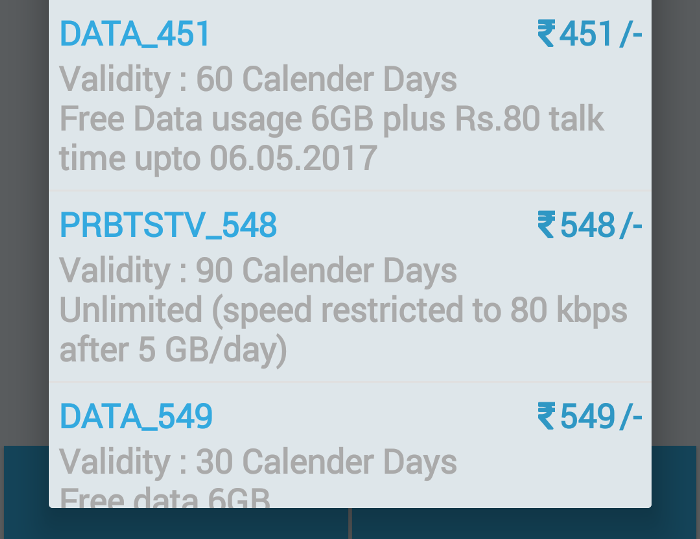 548 means a GB data for just Rs. 1 per GB. Even tough BSNL HQ introduced this Plan for Rs. 549 but since the denomination is not free in much circle, BSNL has started introducing the same plan for Rs. 548 as BSNL 548 Plan. BSNL 548 Plan – How to Activate? USSD Code – Dial *444*Price#. For instance, customers in Punjab can dial *444*548# to activate. Online Recharge – You can visit BSNL Recharge Portal to recharge with BSNL 548 Plan and look for it under Data Voucher. Offline Recharge – You can visit nearest BSNL Retailer to recharge with BSNL 548 Plan. Outgoing Call under BSNL 548 Plan are chargeable in as per the base tariff plan opted by the customer. Recharging BSNL 548 Plan by SMS or USSD would lead to deduction of the price of the BSNL 549 Plan (excl GST) from Main balance only. BSNL 548 Plan – Alternatives?